THOUSANDS OF PARTS FROM ALL THE BEST BRANDS PickupForTrucks.com was created with one goal in mind—to help brick and mortar shops compete with eCommerce. PickupForTrucks.com is a greater part of our wholesale division, All Pro Distributing. We are the top warehouse distributor in truck, jeep, and off-road accessories in the Southeast and, as a distributor, we are able to pass sales made on PickupForTrucks.com on to you—that way, you can get found online and still maintain your normal margins on those sales. With us, you stand a fighting chance against the e-tailers taking up page one on Google. 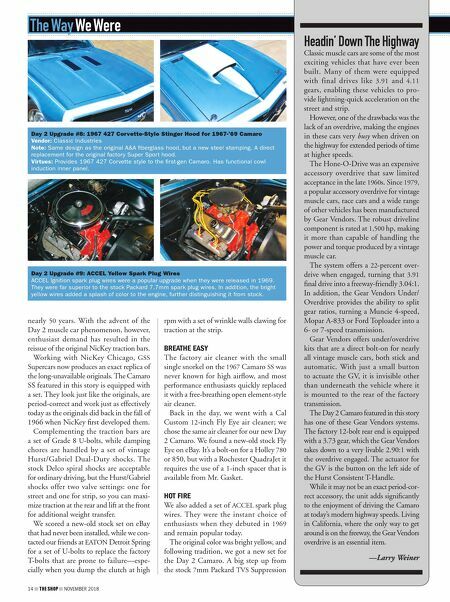 It's time for sales in our industry to come back home to jobber specialists who know the product inside and out! 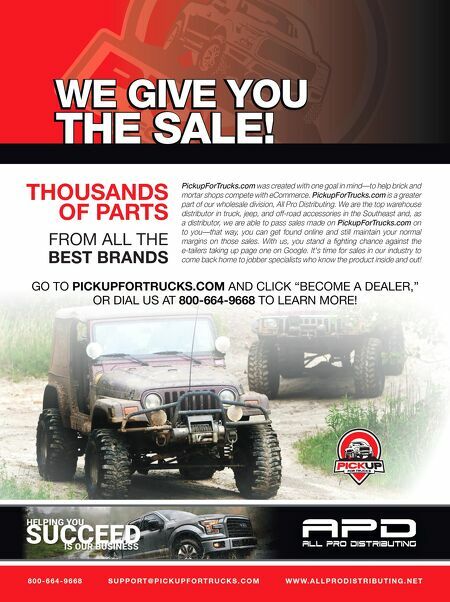 GO TO PICKUPFORTRUCKS.COM AND CLICK "BECOME A DEALER," OR DIAL US AT 800-664-9668 TO LEARN MORE! 8 0 0 - 6 6 4 - 9 6 6 8 S U P P O R T @ P I C K U P F O R T R U C K S . C O M W W W. A L L P R O D I S T R I B U T I N G . N E T WE GIVE YOU THE SALE! WE GIVE YOU THE SALE!